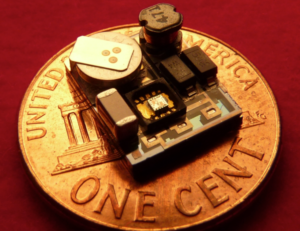 ActiveMEMS is a technology startup to commercialize advanced MEMS technologies developed at the Wireless Integrated MicroSensing & Systems Center of the University of Michigan, Ann Arbor. Based on proprietary design and manufacturing innovations, ActiveMEMS aims to provide unique solutions for wireless sensing needs in a variety of applications, including smart industrial monitoring systems, vehicle instrumentation, smart buildings, and wearable devices. Our company is committed to development and commercialization of high-performance micro transducers and energy harvesters to address the needs of next generation energy-autonomous wireless sensors and IoT devices. To enable manufacturing of high-performance and low-cost energy harvesters and other micro electromechanical systems, ActiveMEMS is developing new microfabrication technologies for wafer-scale heterogeneous integration of high-quality smart materials into microsystems. Our core technology platform enables advanced solutions for not only energy harvesters but also a wide range of other applications, from high-resolution ultrasound transceiver arrays for biomedical imaging to micro-speakers, microphones and haptic-feedback transducers for mobile consumer electronics. © Copyright – ActiveMEMS LLC. All rights reserved.